Come Back to the Five and Dime Jimmy Dean, Jimmy Dean, a play by Ed Graczyk, takes place in a small town dime store in West Texas, where the “Disciples of James Dean” gather for their 20th reunion. 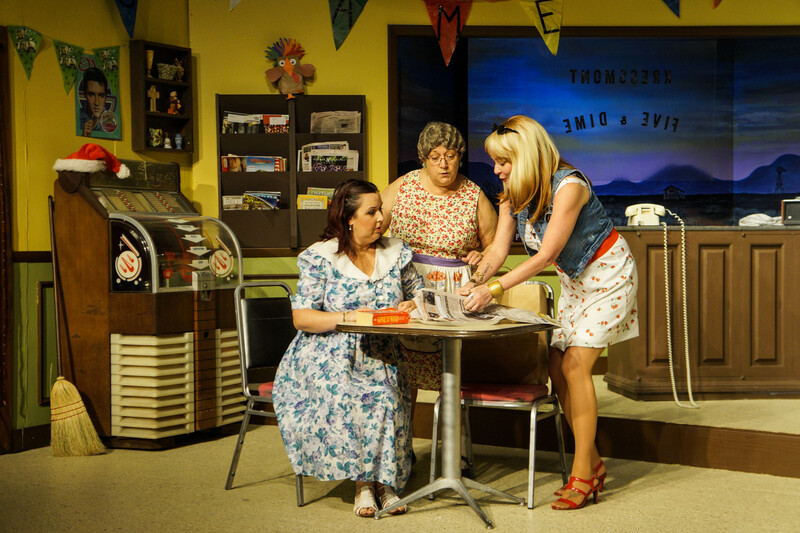 Come Back to the Five and Dime Jimmy Dean, Jimmy Dean is onstage from June 1 – 24 inLimelight Theatre’s Matuzxa Mainstage located at 11 Old Mission Avenue in uptown St. Augustine. Free parking is available on site and street-side. For tickets, go to limelight-theatre.org or call the Box Office at 904.825.1164. Come Back to the Five and Dime Jimmy Dean, Jimmy Dean is directed by Matthew Whaley. The cast features Kristin Pidcock (Director of Education at Limelight Theatre), Beth Lambert (Executive Director of Limelight Theatre), Shelli Long, Jennifer Latka, Jennifer Farrow, Dianne Neighmond, Will Gooden, Heather Eggleston and Shannon Acevedo.